Wintertime is notorious for producing dry skin, and for those of us who wear makeup it can be nearly impossible to avoid the horrid “cake-face” look. If there were a way to blow away the freezing temps, trust me I would be all up on that. 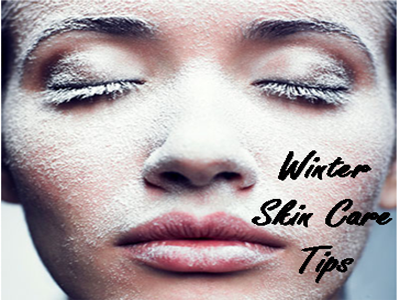 Until then, here are a few tips on keeping your skin glowing and healthy through all the blizzards ahead. It is crucial to keep the face ultra moisturized to avoid patchy, dry skin. Make it a mourning routine to apply a light face cream after showering. I like Kiehl’s Ultra Facial Oil-Free Lotion. 2. Hydrate from the inside out! Water is a gift from the gods. Drink up to avoid dry skin due to dehydration. Tip: coconut water is an excellent source of potassium and other electrolytes to keep you energized and hydrated throughout the day. Try Naked’s delicious Coconut Water + Pineapple Juice for a sweet kick. If you’re noticing patches of dry skin throughout the day, put some lotion on a face sponge and gently pat it on to retain moisture.